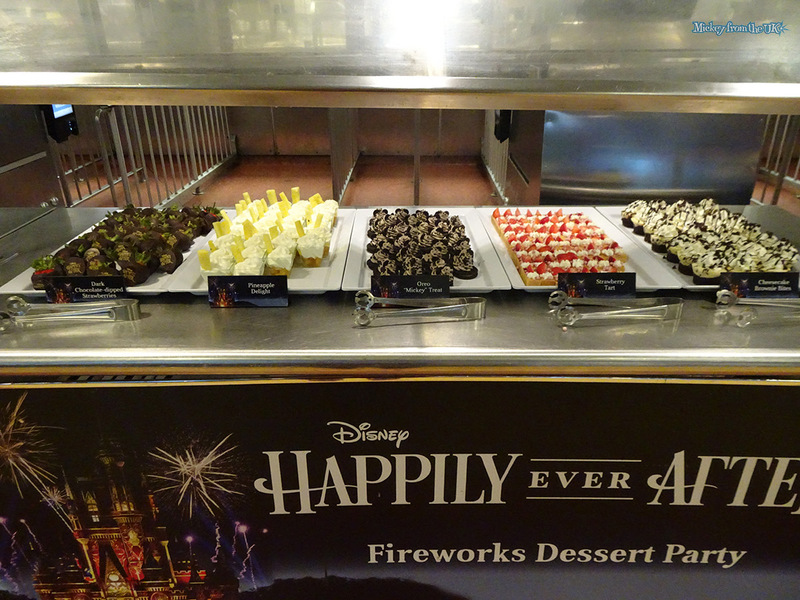 We review the Happily Ever After dessert party at the Magic Kingdom. We share what is included and if it`s worth it going forward. 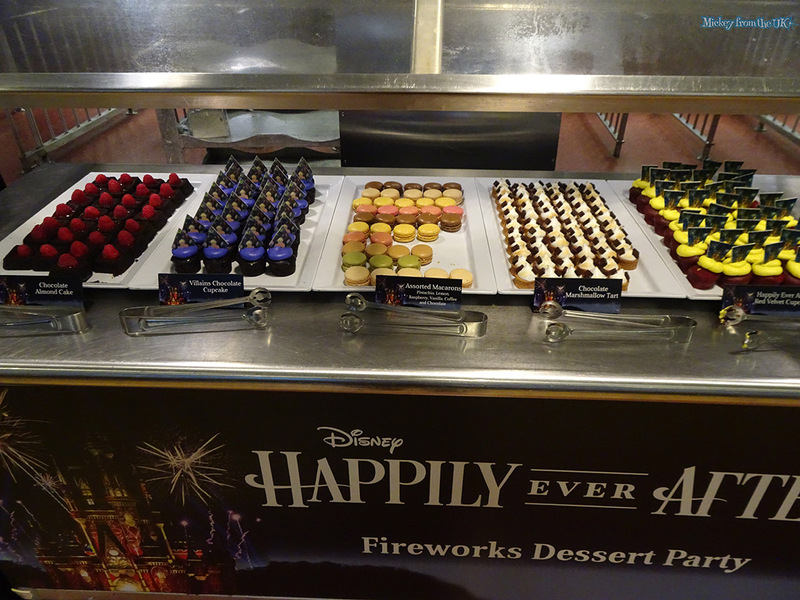 We review the Happily Ever After dessert party at the Magic Kingdom. We share what is included and if it's worth it going forward. 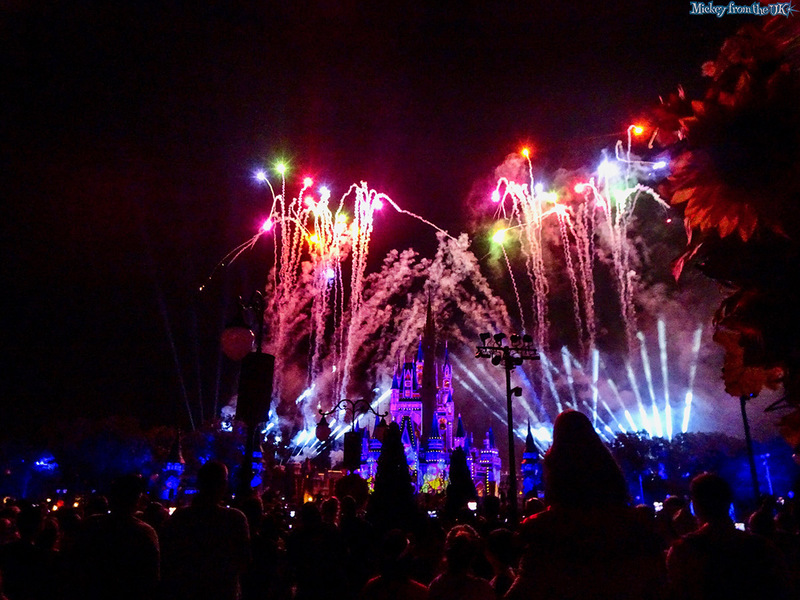 The Happily Ever After dessert party takes place most nights at the Magic Kingdom. 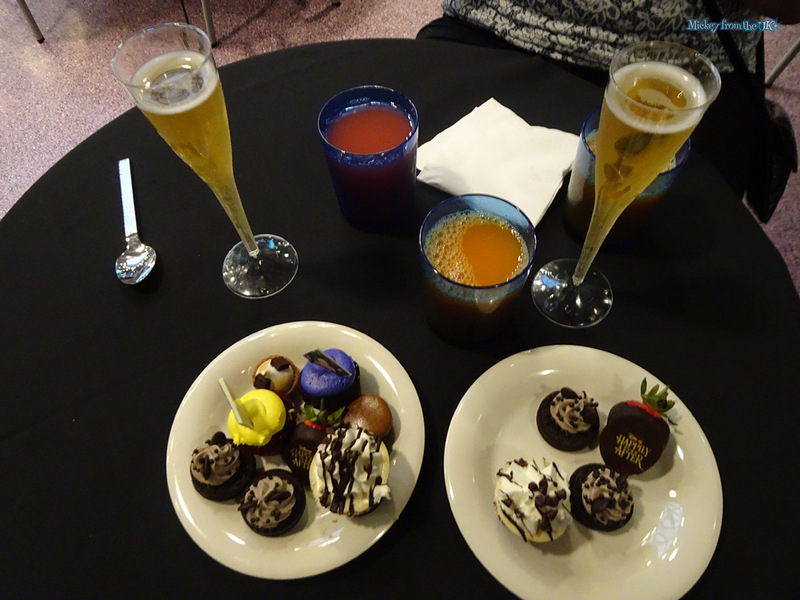 You get a selection of desserts and drinks in a closed off area in the Tomorrowland Terrace. When it's time for the fireworks you are escorted to the reserved viewing area. You can check-in from an hour and a half before showtime to enjoy your desserts at a slow pace. You're given a wristband which they do check whenever you get food or leave the area (even if you don't notice it). We did the Plaza Garden standing view package, which cost $59 each. At the end of the article there is a slideshow full of photos we took. The seating area for the desserts is quite large and spread out, you're not too much on top of the people around you. 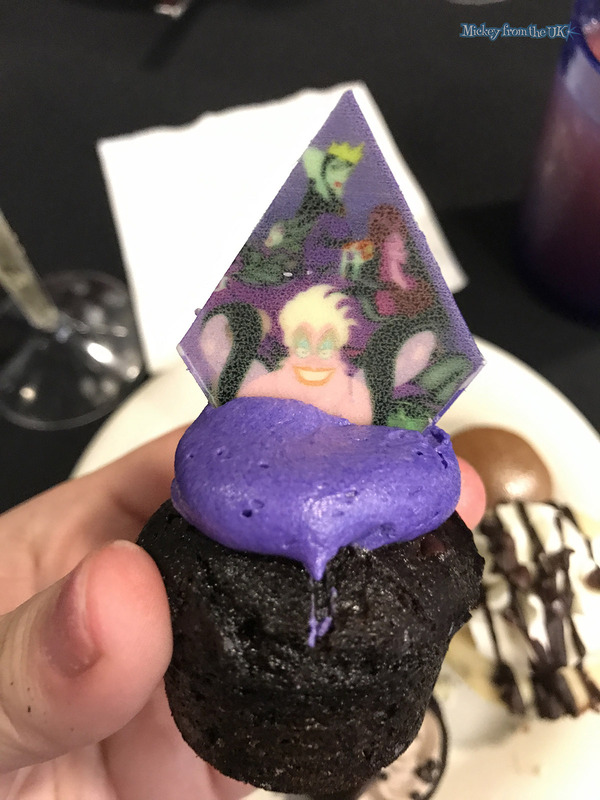 Keep in mind that even though you are taken to a table by a cast member, we got up to get our desserts only to come back to another family sitting in our seats. The chairs are hard metal and not all that comfortable, but they weren't too bad. Starting with drinks, there is quite a selection. 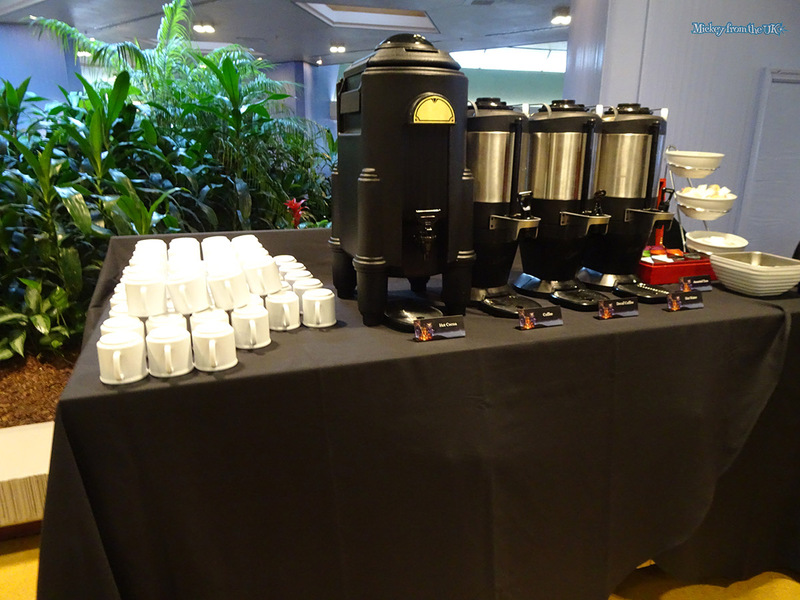 It's got all the regulars like lemonade, waters, coffees, teas, and juices. 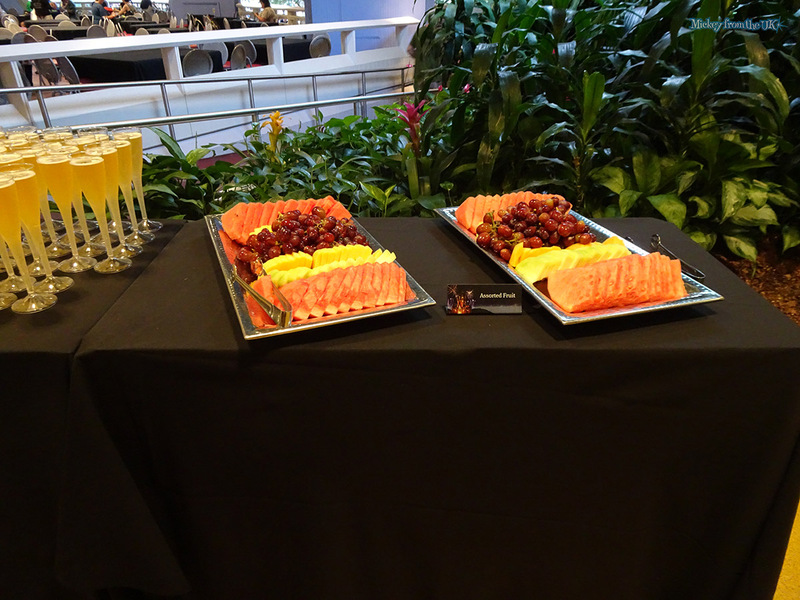 A one major plus is they have the delicious "jungle juice" that you'll find at Boma or Tusker House. For you alcohol lovers (like ourselves) there's none here. They say "sparkling cider" is included, but it's sparkling Apple Juice. 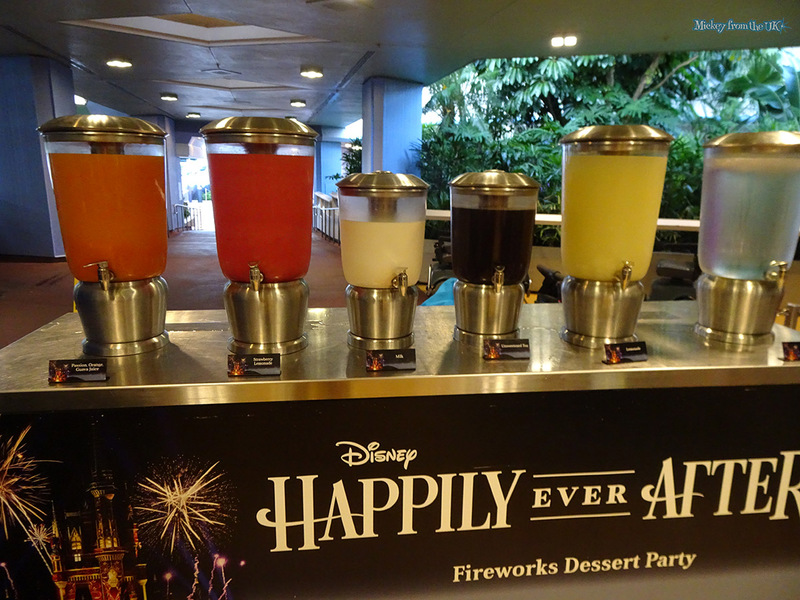 This is one area where we prefer the Star Wars dessert party at Hollywood Studios, as they offer a bar. Moving onto the food, and there's much to like here. If you love sickly chocolate snacks then you are in for a treat! There is a selection of brownie bites, chocolate covered strawberries, cookies, raspberry chocolate cake, tarts, macarons, red velvet cupcakes, Pineapple Delights and Grey Stuff and Oreos – just to name a few. There is also some fruits and cheeses. For the most part, they're all pretty good. The grey stuff, cookies and chocolate strawberries were the highlights for us. We had no complaints about the viewing area. 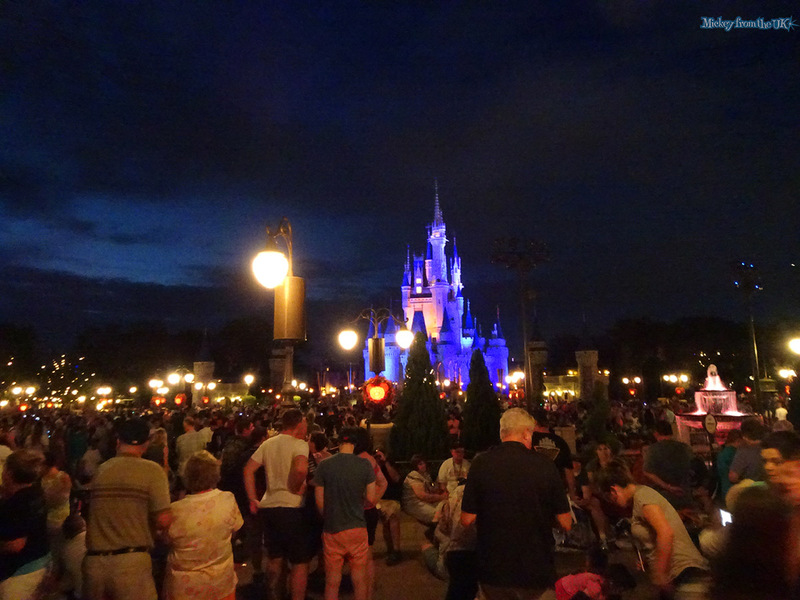 As with most places around the hub there are poles and lampposts in the way but you can squeeze a good view in quite a few areas. 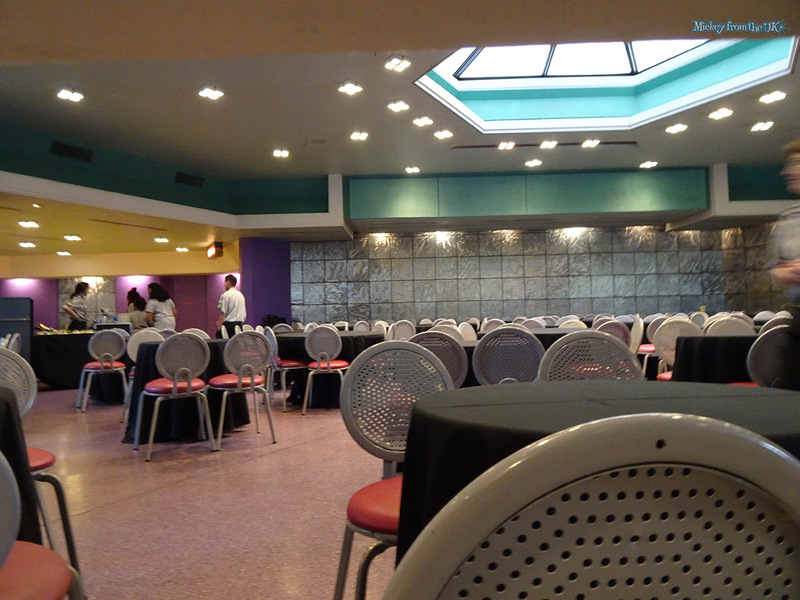 The night we went, the closed off area for the dessert party guests was really quiet. There was so much room! We're unsure if it was a quiet night or they they allow more space for the paying guests. We could sit down, walk about, and not touch anyone else. It is quite unlike standing in the normal standing areas. One of the highlights (aside from the Happily Ever Show itself) was watching cast members try and move people about. We were stood right at the front of the reserved area against the railing, and the amount of people the other side who try and stop to sit on the walls, lean on the railings etc were quickly told to move on from cast members and security. One of the cast members caught us laughing and came over to have a chat, we told her we don't envy you trying to keep this crowd controlled every night. This one couple came back a total of 3 times (to the same spot) after being told each time they cannot stand there. The pathway in front of the reserved area is a walkway and must be kept clear for health and safety, so another plus is you have nobody stood directly in front of you. We paid $59 each ($118 for both us of + tax) for the Plaza Garden package. We didn't feel the extra $20 was worth sitting down in the Tomorrowland Terrace area, plus we wanted to be a little closer to the castle. Was it worth it? Probably just. 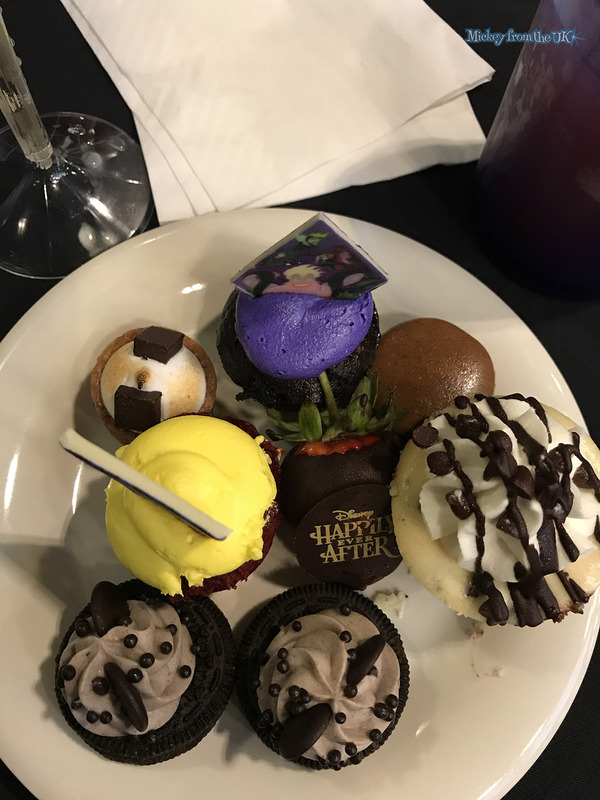 As we love the Disney dining plan, we had a table service lunch instead of dinner so we had a semi-empty stomach to indulge in some desserts. You wouldn't get anywhere near your money's worth if you just had dinner. Oh boy, we're not sure. From May 2018, the seated viewing area at Tomorrowland Terrace will increase to $84 (from $79) for adults. Children's prices will increase to $50 ($from $47). The standing viewing area at the Plaza Garden will increase to $69 (from $59) for adults. Children's prices will increase to $41 (from $35). Is it worth it in 2018 with the price increase from $59 to $69? In our opinion, we think it's pushing it. 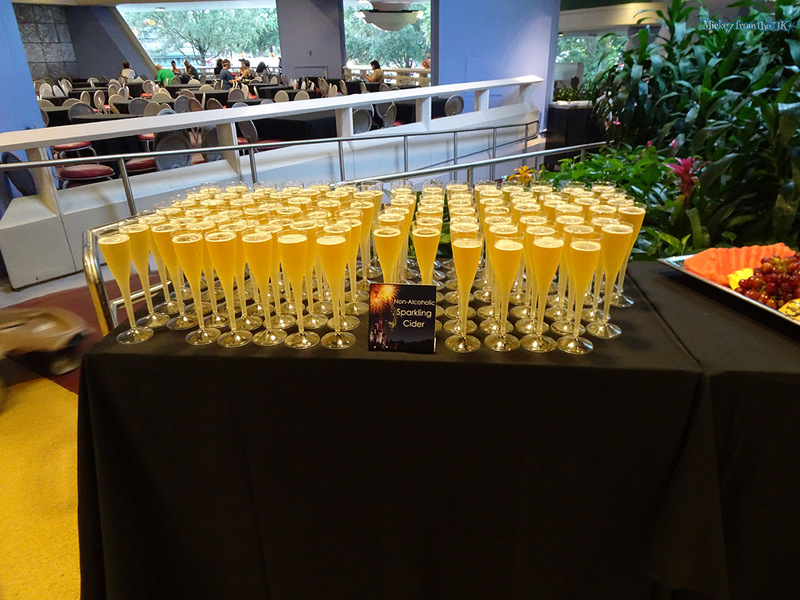 With the Star Wars dessert party, because they offer a bar that serves cocktails, we can easily get our monies worth (that's excluding the food and standing area). 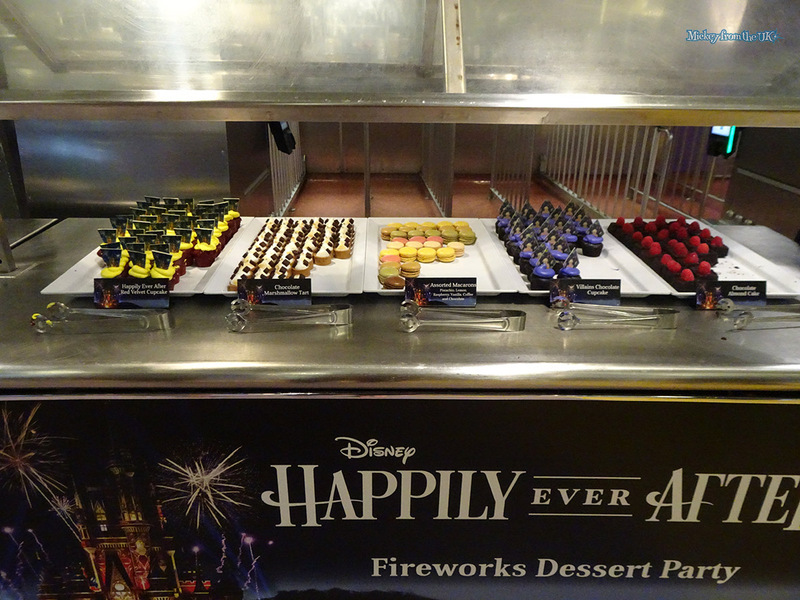 With Happily Ever After dessert party, it's hard to. 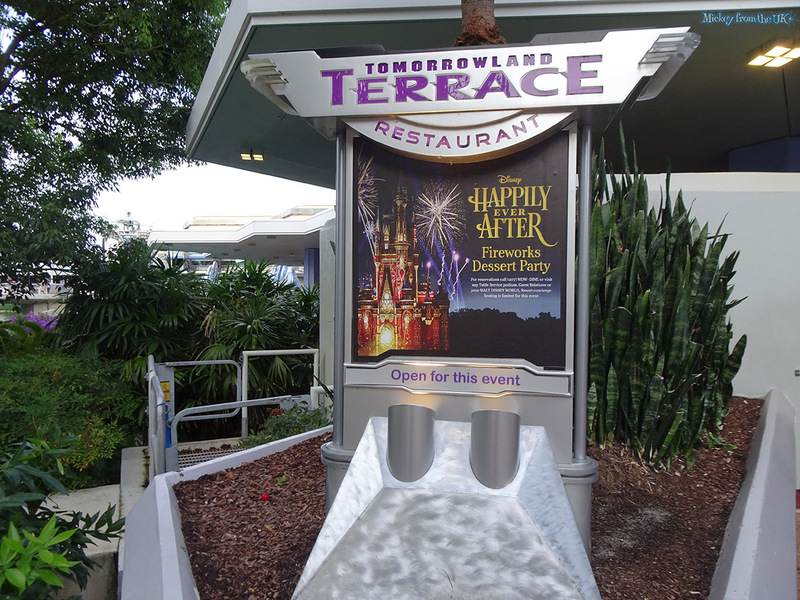 Especially if you're going to pay $84 each for the Tomorrowland Terrace seating area. 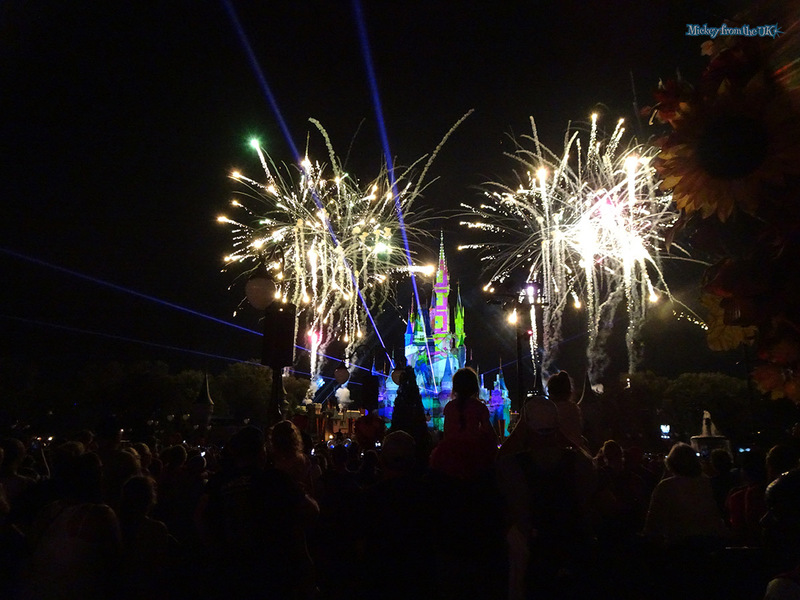 Of course, the seating area option might be a must for people who cannot stand for too long to watch the fireworks, and we all know how crowded and compact the hub gets when it's fireworks time. You usually have to find a spot an hour before the show starts. 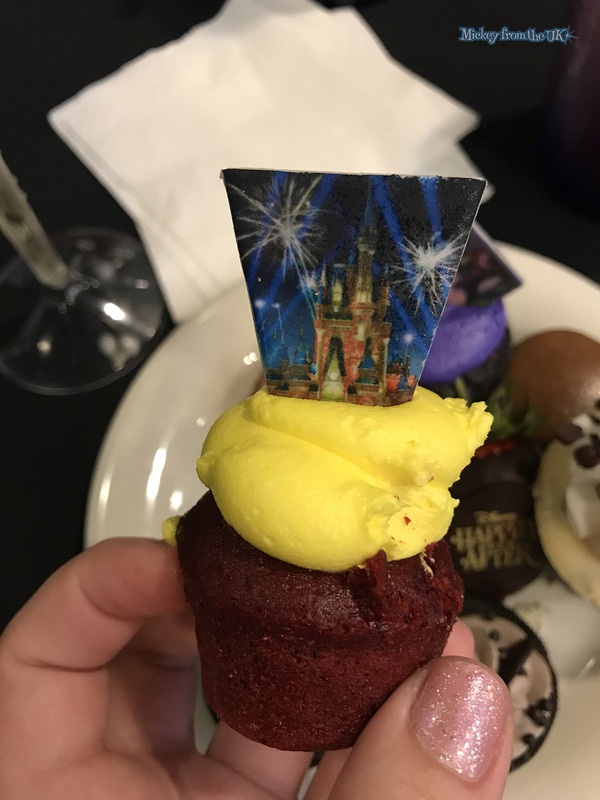 Doing the dessert party means you don't have to do that as your standing/sitting area is reserved, so you do save some time (and leg pain), and maybe that's worth it to you. However, we have booked it again for our next trip later this year, and will report back if anything has changed to justify the price hike or not. Anything above $69 is probably a definite no for the standing area. So this might be our last time doing it. Maybe.